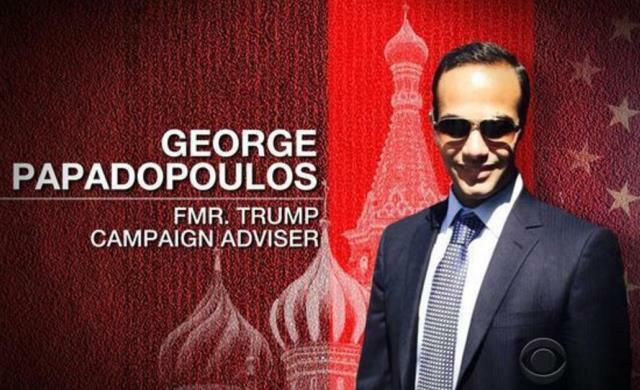 It was George Papadopoulos bragging drunk to a US ally, not former MI6 agent Christopher Steele, that focused the attention of the Federal Bureau of Investigation on potential collusion between the Trump campaign and the Kremlin in 2016. Trump defenders in Congress and media have focused their attacks all year on the so-called “dodgy dossier” of private, unclassified intelligence reports that Steele assembled from sources in Russia and Europe. Because raw HUMINT (human intelligence) reports are rarely ever reliable on their own, it has been easy for excuse-makers to pretend that Steele’s work was somehow improper, or a result of Democratic Party influence, that magically poisons the entire Trump-Russia tree. But in a detailed report today, The New York Times explodes that version of events by revealing that the FBI opened its investigation because Papadopoulos bragged about Russian-hacked Clinton emails to an Australian diplomat. There are two points worth making here. First is that the FBI did not take any real interest in the Steele “dossier” until October; their counterintelligence investigation had been underway since at least late July. That means Republicans and the Saint Petersburg troll farm will need a whole new premise for their conspiracy theories, as the one they have been using will not stand up to even passing judicial scrutiny of the factual timeline. The NYT is reporting that George Papadopoulos tried harder than previously known to broker a Trump-Russia meeting, while "keeping senior campaign officials abreast of his efforts." Second, Australia is one of the “Five Eyes” (FVEY) countries — a signatory to America’s most important intelligence-sharing treaty. So is GCHQ, the British signals intelligence agency, which warned the CIA about “interactions” between team Trump and Russian agents all the way back in 2015, according to the Guardian. Indeed, by the summer of 2016, many of America’s intelligence allies were reportedly telling Washington counterparts that something wasn’t right. Estonia, among others in Europe, allegedly intercepted Trump associates talking to Russians and warned America about the things they heard. Furthermore, everything in Steele’s reports is consistent with information that multiple allies around the world had already provided to the American “deep state:” furtive discussions, clandestine meetings, financial favoritism, the outline of a grand bargain, and rumors of compromising information (kompromat) on both Clinton and Trump. Mr. Papadopoulos has already pleaded guilty to lying to the FBI. By the time they even talked to him in January of 2017, he had already been on their counterintelligence radar since at least August, and not because of anything in Christopher Steele’s report. To be sure, Americans who prefer to live in the counterfactual bubble of Breitbart and fake news are free to keep spewing nonsense about the “Steele dossier” as long as they want. But as a matter of law, it is totally irrelevant to the timeline and the chains of custody that led the FBI to investigate the Trump campaign.